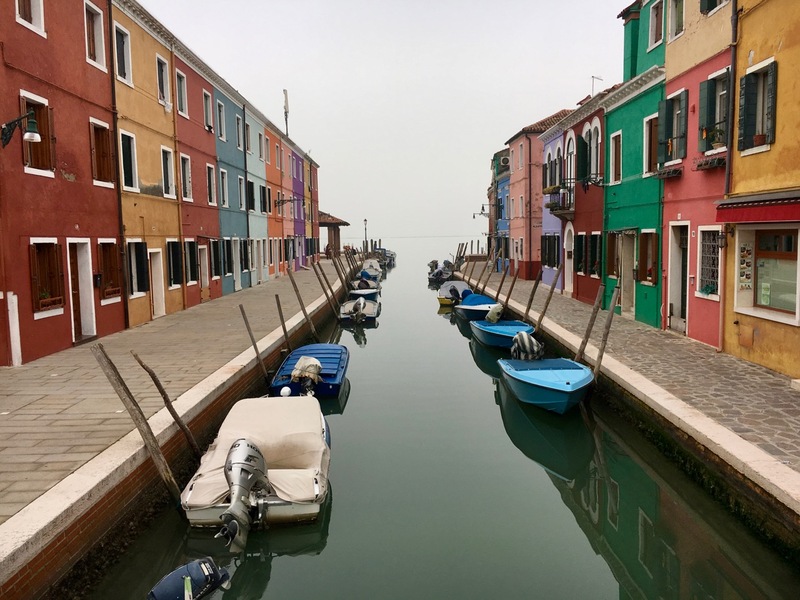 The island of Burano is no secret. 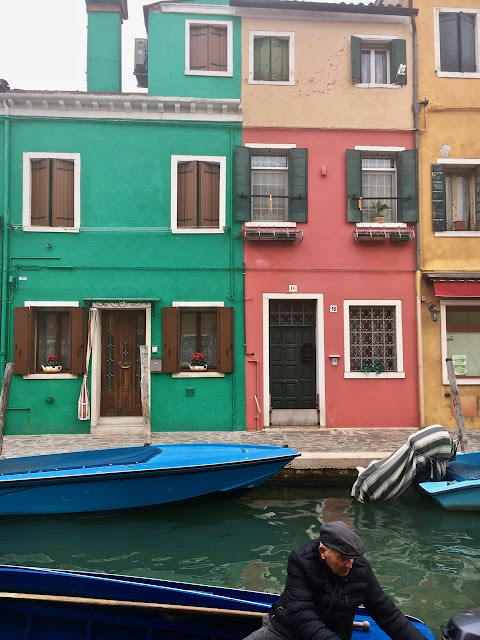 Its candy-colored houses and rustic fishing boats lining the narrow canals have no doubt shown up on your Instagram feed at some point. What you may not know is that you can spend the night here and discover that there is so much more to this island than a quick day trip can show you. 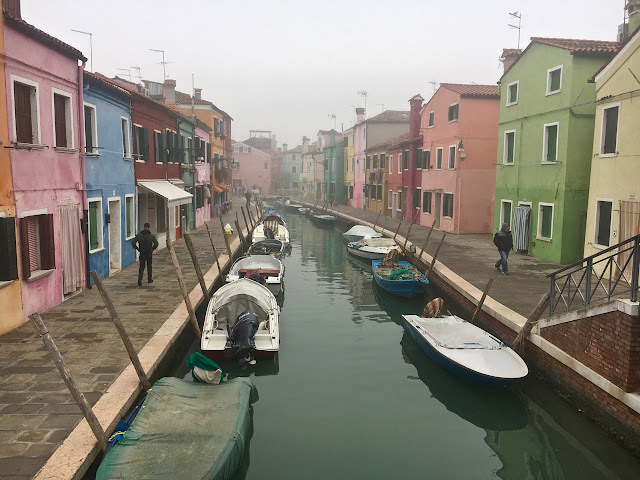 Mark and I recently spent two nights at Casa Burano and discovered an entirely different place than we had seen on two previous short visits. In the mornings and evenings, the island is almost deserted. On a foggy November Saturday night, it was zombie apocalypse deserted. Casa Burano not a hotel per se. It is what in Italian is called an Albergo Diffuso. This means that there are properties scattered throughout the island. 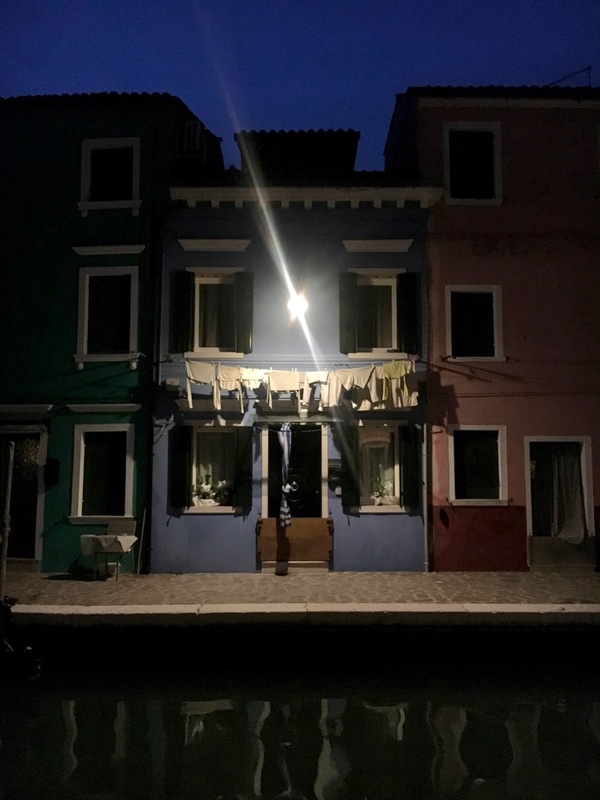 Think of it as a very chic Airbnb.There is 24-hour service if you need it, but you have the key to a room in one of those colorful little houses and complete freedom to discover the island. The five traditional island houses have all been renovated with a sleek Italian style and our bed was literally so comfortable we took a picture and plan on buying one for our home in Rome! 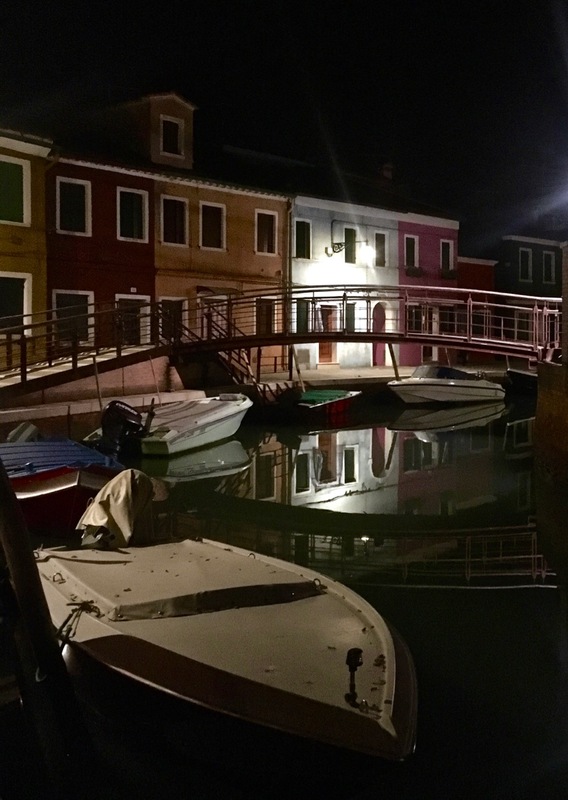 If you are looking for an extra special experience in a very special place, book a winter night or two on the island of Burano and discover its charms that extend far beyond what few sunny summer hours can give. Keep reading for a few pointers on how to make the most of your island exploring. 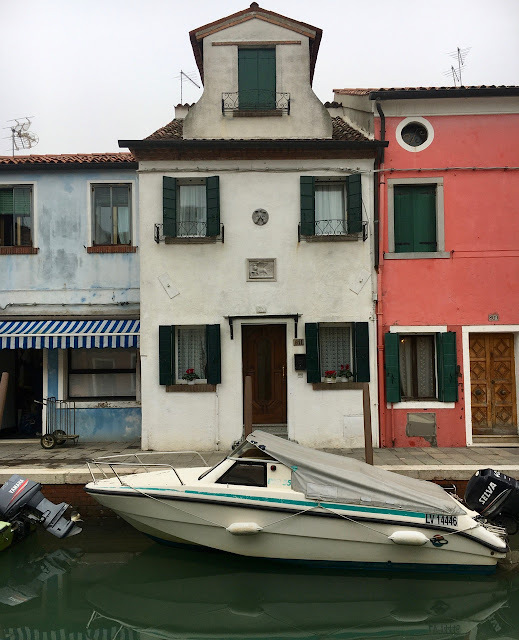 We arrived in Venice on the day of a national transportation strike so getting to the island was a little more challenging than usual, but even with that hiccup, Burano is very easy to reach. Vaporetto's (water buses) leave from the Fondamenta Nuove stop which is an easy (in Venice that means relatively flat and only a few bridges) 20-minute walk from the train station. If you don't feel like a walk, take the 4.2 to Murano and then catch the 12 to Burano from there. We bought 48-hour tickets because we had an afternoon in Venice planned. 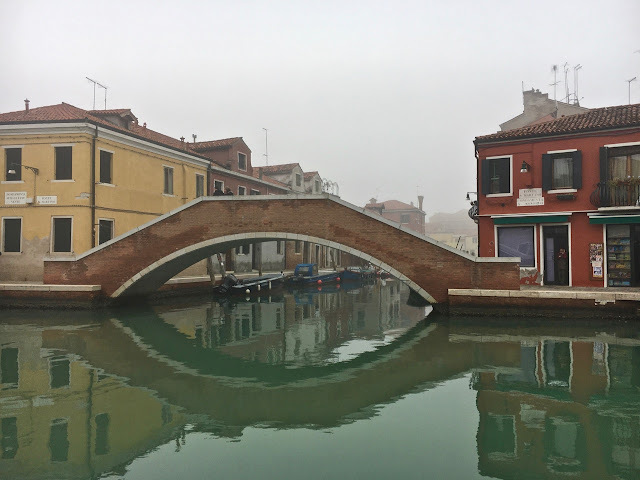 You can easily spend the entire time out on the island and not come into Venice at all. There is a fixed price for a water taxi from the train station to Burano of €115. We checked into our room and went for a twilight walk around the island. 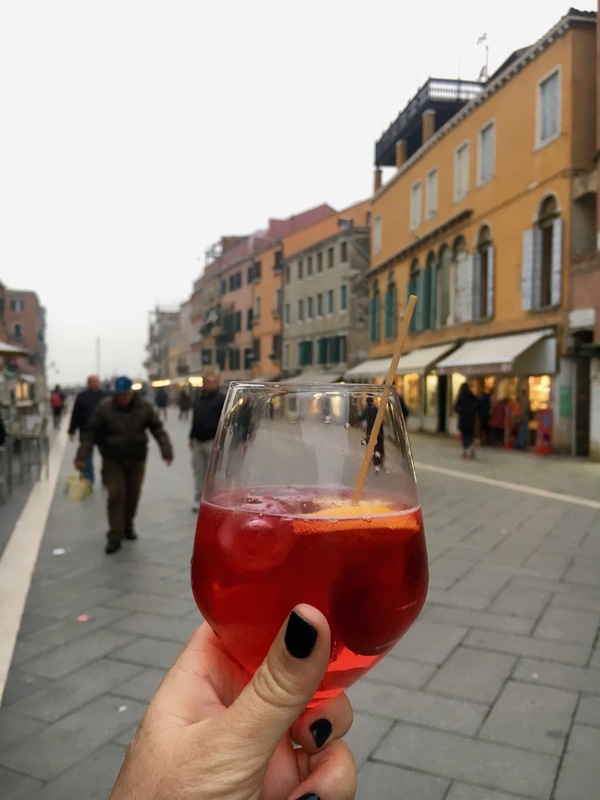 The day tripper crowds had all left and we wandered the empty paths next to the canals until dark and then found an old-fashioned bar near the vaporetto stop for a pre-dinner spritz. 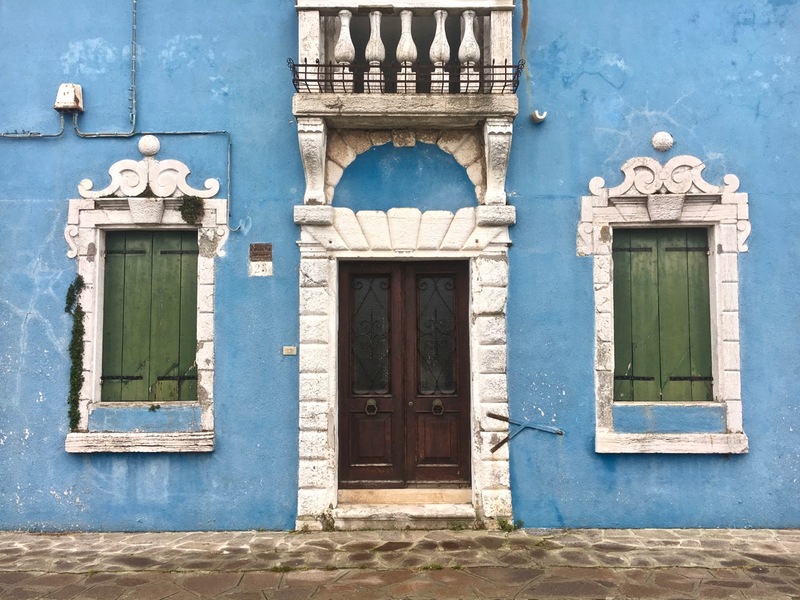 Burano is connected to another island called Mazzorbo. 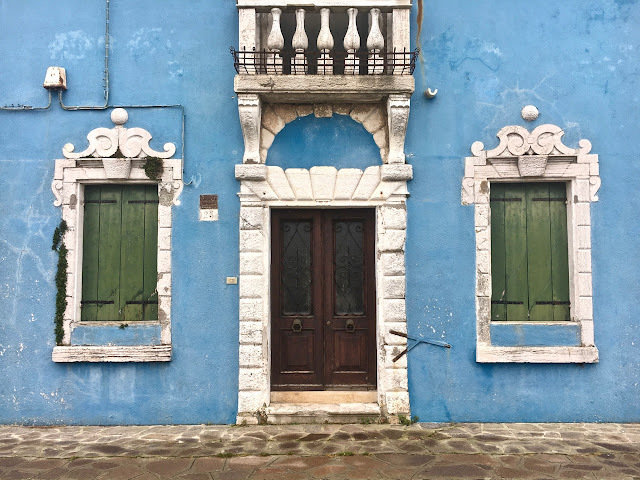 This is where you check in to the Casa Burano and where you will find the elegant sister hotel Venissa. Oh, they also have a vineyard here too. There is a Michelin starred restaurant which was closed for the winter and the more casual Osteria Contemporanea which is open year round. Last July we made a tactical error and did not book a table which left me with a months-long craving for the lagoon special of duck ragu. 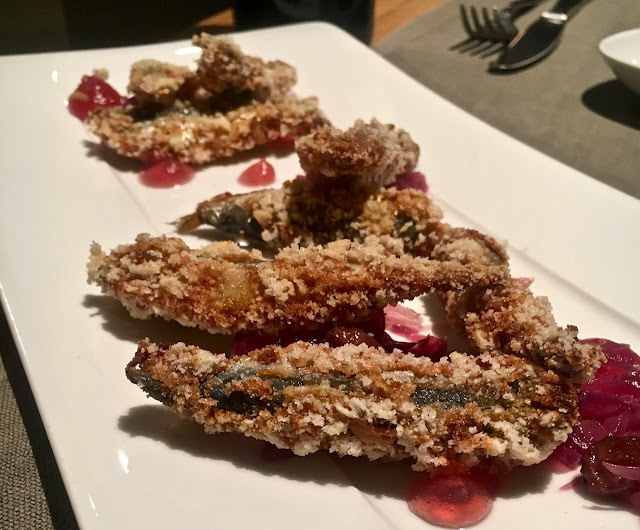 We ordered fancy wine and took the staff suggestions from the small, seasonal menu of their version of sarde e saor and a plate of vegetables and thoroughly enjoyed this very chic and very unstuffy space that is the perfect mix of fine dining and casual. Breakfast at Casa Burano is delivered to your breakfast room downstairs. Our basket was filled with homemade yogurt, hard boiled eggs, and fresh seeded bread, butter, and jam. There is a library of teas and a coffee machine. If the weather is nice you can take your basket out to the water's edge and have a morning picnic. 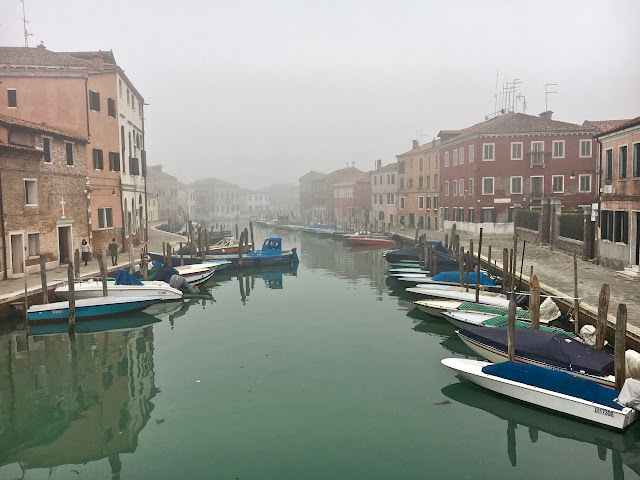 The weather was super foggy so we took the wooden bridge that connects Burano to Mazzorbo and explored. The houses here are not as colorful, but the island is just as pretty with secret gardens to peer into and a wonderful 13th-century church. There are not as many boats in winter so make sure you check the vaporetto schedule to make sure you don't have a long cold wait. Since we had a 48-hour vaporetto pass we could hop on and off as we wished. Mark had never visited Murano before so on our way into Venice we took a little detour and I showed him around. 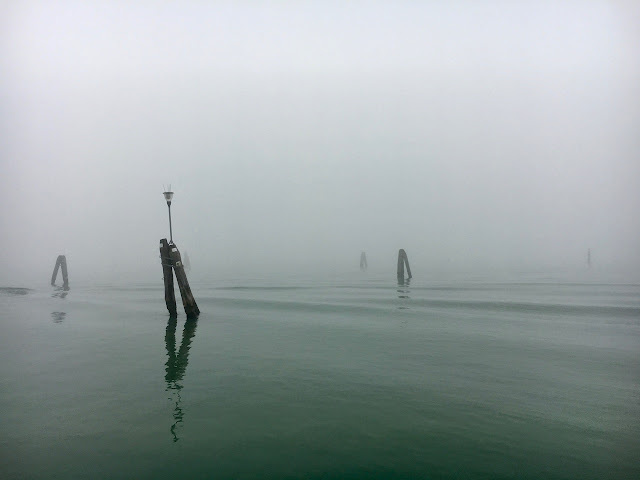 I ogled necklaces at Davide Penso and we walked away from the crowds all the way to the very quiet residential part of the island, which is a different world than the hustle you encounter at the Faro vaporetto stop. 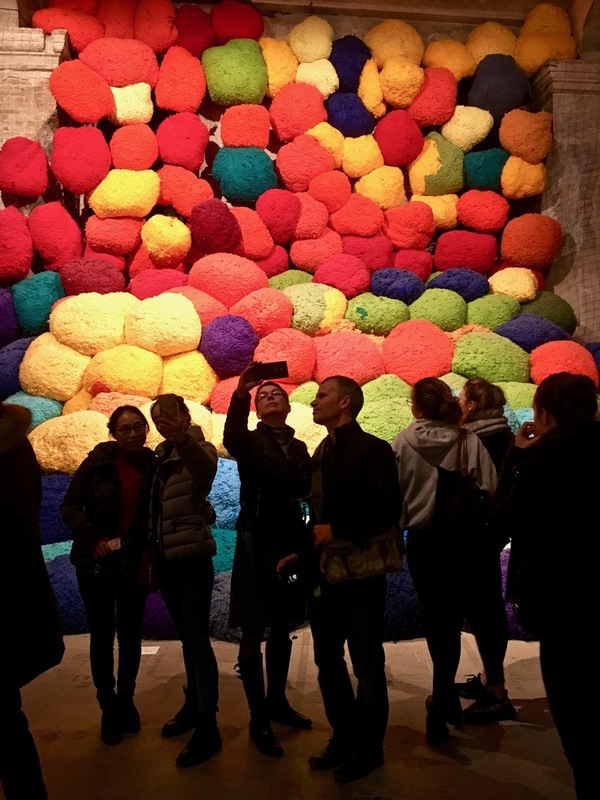 The "reason" for this particular trip to Venice was to use the second part of our Biennale ticket and see what there was to see in the Arsenale. 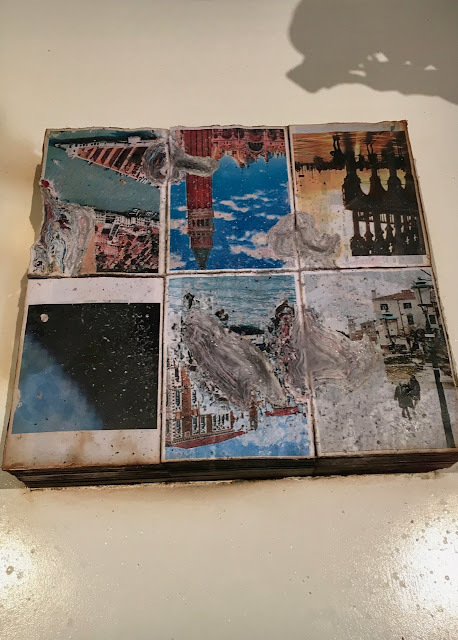 I was underwhelmed by the Giardini earlier in July, but I enjoyed completing the missing piece. 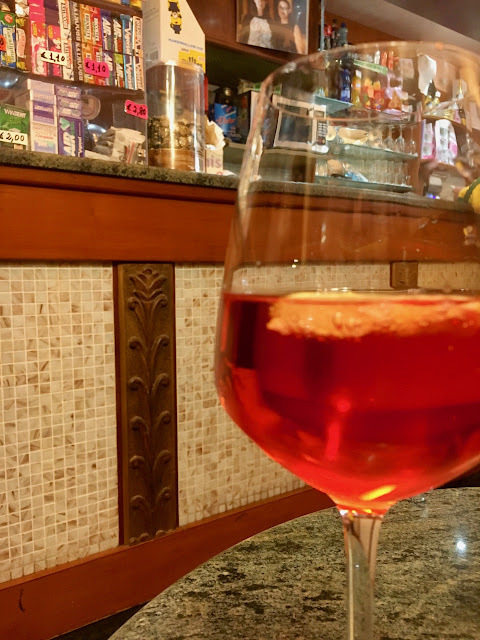 Our in an art daze tradition is to head bleary-eyed to the bar al Refolo on the via Garibaldi and recover with Campari spritzes and craft beers. If you are hungry, they also have an excellent selection of small sandwiches here. We headed back to our island as the sun was setting with the plan to have another plate of duck ragu, but discovered that on a Saturday night in November, the night before the Venetian holiday celebration of San Martino almost nothing was open. 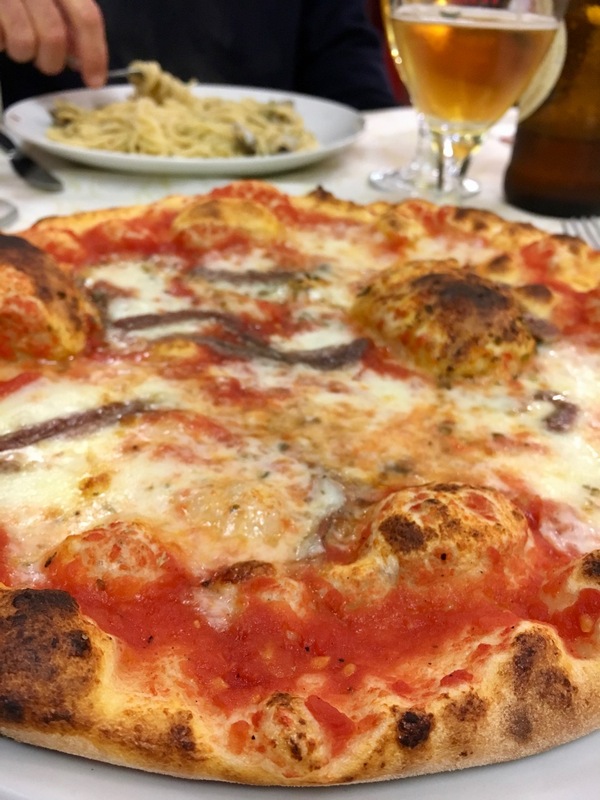 So we did like the islanders do and found a pizza place where as we enjoyed a quite delicious pizza for this far north (yes, I am a southern Italian pizza snob) we watched what felt like the entire island come in and collect their regular orders. After another gourmet breakfast basket, we meandered the quiet island before the weekend crowds rolled in. I watched as a fisherman came in with his catch and parked his boat for the day and we walked over every single bridge and down every narrow alley while the church bells tolled for Sunday mass. This is one of those restaurants we have been trying to go to for a long time. Every single time we go to Burano it has been closed. This time we were in luck, they were closing for the season the following day! I was a tad worried this would mean mediocre food but that was absolutely not the case. Burano is a fisherman's village after all. 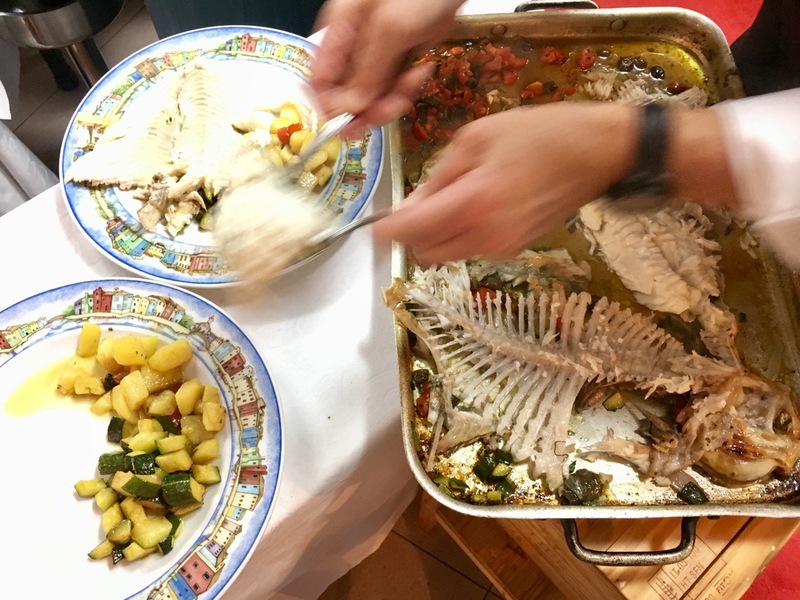 We agreed to a ridiculously large turbot (rombo in Italian) that had been caught that morning and could have fed at least four, but we completely understood what we were getting into. We also had plates of polenta with tiny lagoon shrimp, crab pasta, and tiramisu. And of course a lot of cold white wine. From about 11:30 am the island was packed with Instagramming daytrippers and that meant the vaporetto back to Venice was packed too. Even on a cold, foggy November Sunday. Make sure you get to the stop early or leave enough time in case a boat is full to take the next one. My best Venetian pal shared her train station secret with me last year and now we always end our visit with one final spritz at F30 before we get back on the fast train heading south.